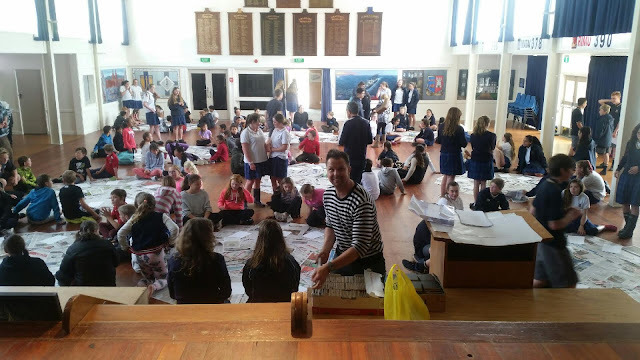 Last week, alongside fellow artist Rebekah Codlin, we wrangled some 700 students from 19 schools across the Kapiti region to create a mammoth collaboration mural. 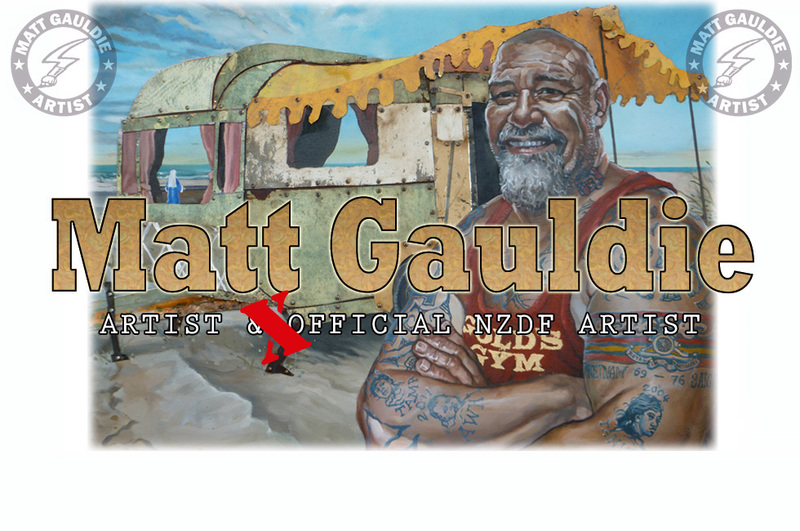 As part of the Kapiti Kids Motivation Trust, in their third art project in ten years, running under the banner of "It's OK to paint people". The concept was to have each child create 2 or 3 small portraits of themselves and/or their classmate beside them, resulting in 1400 individual works of art, which will then be compiled into two impressive portraits. From a distance, you will see two large portraits, from close up you'll see many smaller images. The subjects of this impressing mural, to be hung as permanent display in the foyer of the Kapiti Performing Arts Centre, are ex-Kapiti College student, filmmaker Sir Peter Jackson, and Paekakariki Kuia, the late Jean Andrews, who played a significant role within the community, including hosting American servicemen during and after World War 2, and being an active member of the Kapiti College board. It is such a pleasure to be involved in projects like this, to spend time with the artists of the future, creating something special together. You can read about the project in further detail here, with some great additional imagery including the finished works, thanks to local paper Kapiti News. Over the weekend of ANZAC 2016 I had the pleasure of unveiling a piece for the community at the Hastings RSA. This was special commission as the final piece in the newly opened RSA facilities for the people of Hawkes Bay. I even had my mum on hand through dawn service, and to help pin my Grandfathers medals to my uniform. I enjoyed some incredible public works in the Hastings region during my time installing this sculpture, including the beautiful Charolais cattle sculptures from British artist Paul Day. If you’re ever in the region be sure to pop into see the wonderful people at the Hastings RSA, grab a beer and enjoy the warmth of the RSA community.